We are excited to announce the release of our 2016 Anchor Christmas Ale. A deliciously smooth winter warmer with notes of seasonal spices and a malty backbone, this year’s brew marks the 42nd annual release of this Anchor tradition. 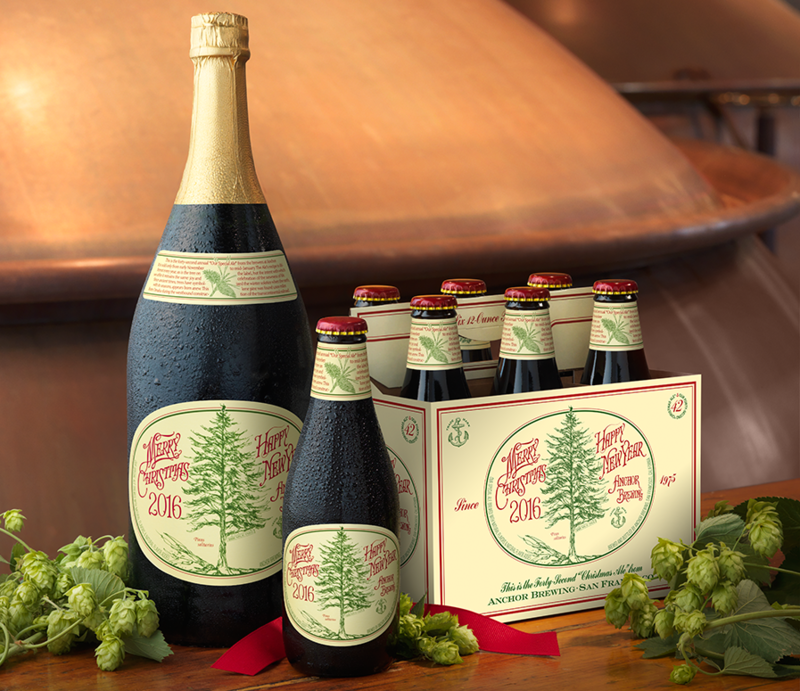 Sold only from early November to mid-January, the Christmas Ale recipe is different every year, as is the tree on the label. However, our intent with each brew remains the same: joy and celebration of the newness of life. With a heavily guarded, secret recipe, Christmas Ale (6.5% ABV) is a highly anticipated seasonal delight, complex and full in flavor with a velvety texture and alluring, yet subtle, spiced aroma. Along with an evolving recipe, Christmas Ale portrays a new label every year. Since ancient times, trees have symbolized the winter solstice when the earth, with its seasons, appears born anew. This year’s tree is the “1,000 Mile Tree” or the lone pine found during westbound construction of the transcontinental railroad. Discovered in 1869, it was a lone pine amidst a vast and desolate landscape. 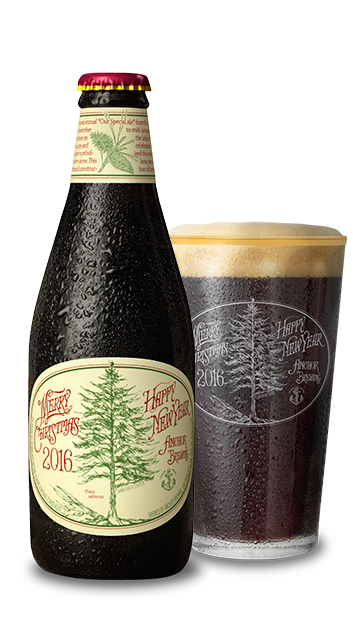 The tree on this year’s label was hand-drawn by Bay Area artist James Stitt, who has been creating Anchor’s Christmas Ale labels since 1975. His charming illustration of the 1,000 Mile Tree includes a person at the top of the tree with a mug of beer, honoring an old legend that railway passengers sometimes attempted to climb the tree. Christmas Ale is available in 6-packs and gold-foiled 50.7 oz. magnum bottles, as well as on draught in select stores, bars, and restaurants including the Anchor Brewing Taproom and Anchor Beer Garden at The Yard in San Francisco. Find a brew near you using the Anchor Beer Finder.